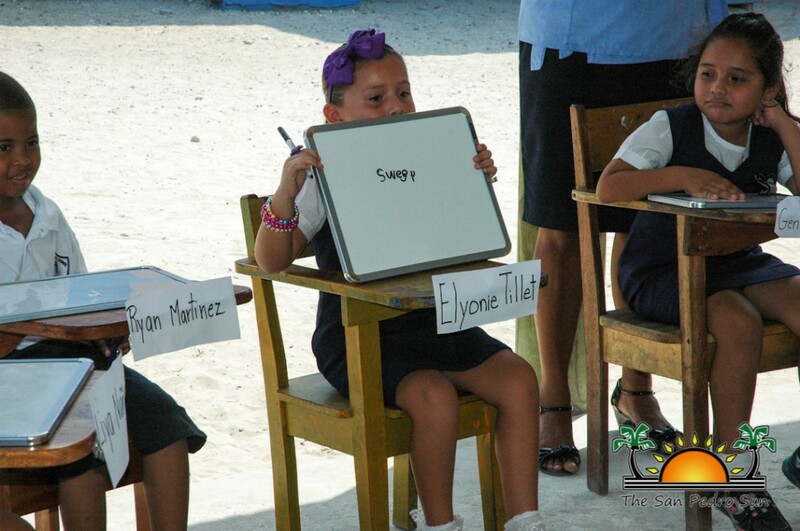 Newer: » Team Coco Beach wins 10th annual Eco Challenge! 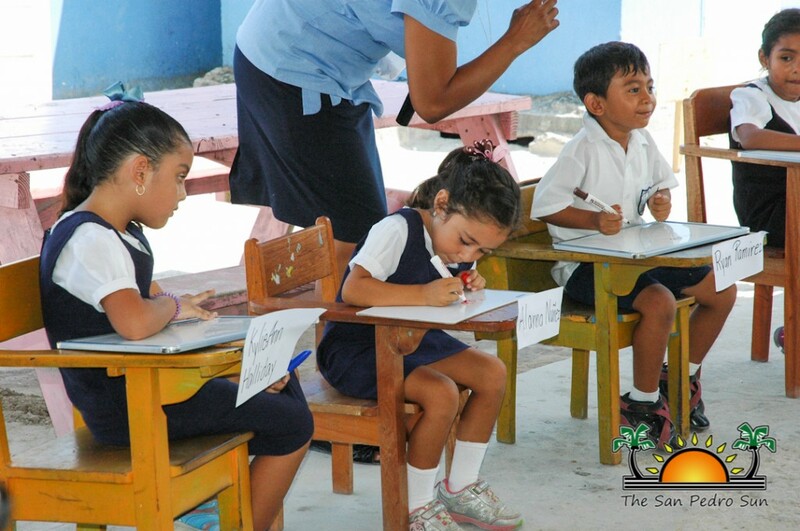 As part of Education Week, the San Pedro Roman Catholic (SPRC) Primary School hosted a series of activities from Monday, May 5th to Friday, May 9th to stimulate child education and creativity. 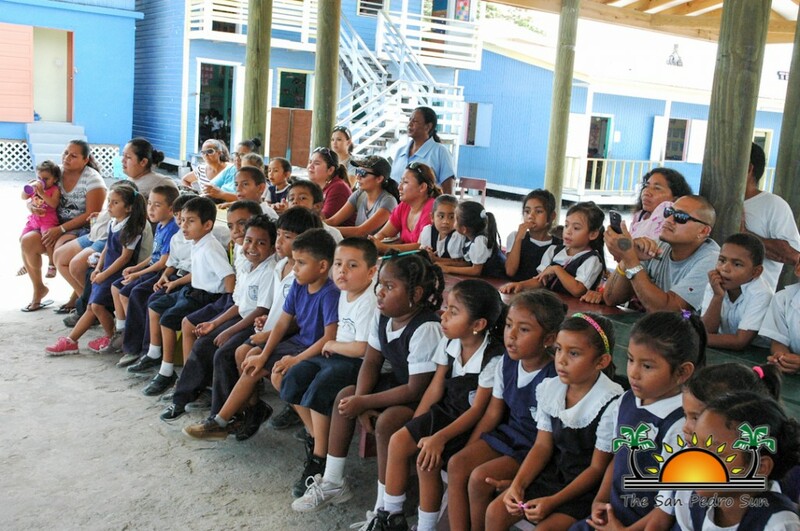 The celebration was held under the theme “Quality Teachers: Nurturing the Inherent Potential of our Children”. 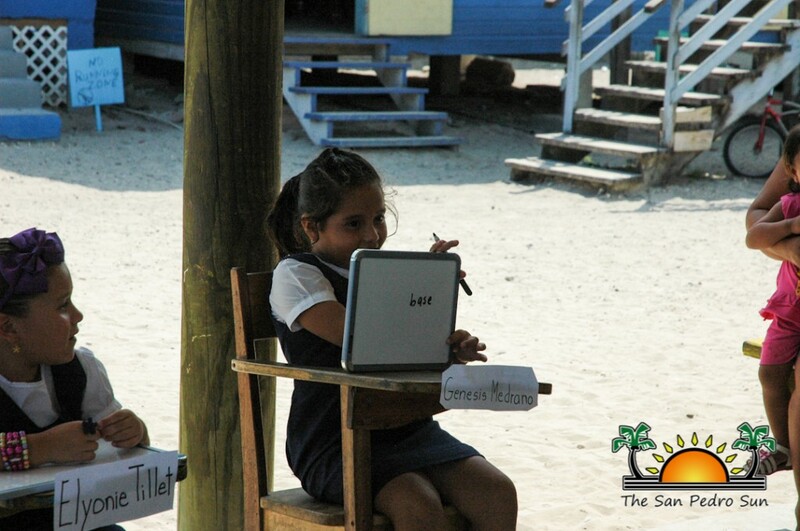 The students enjoyed a variety of activities along with their parents and teachers throughout the week. 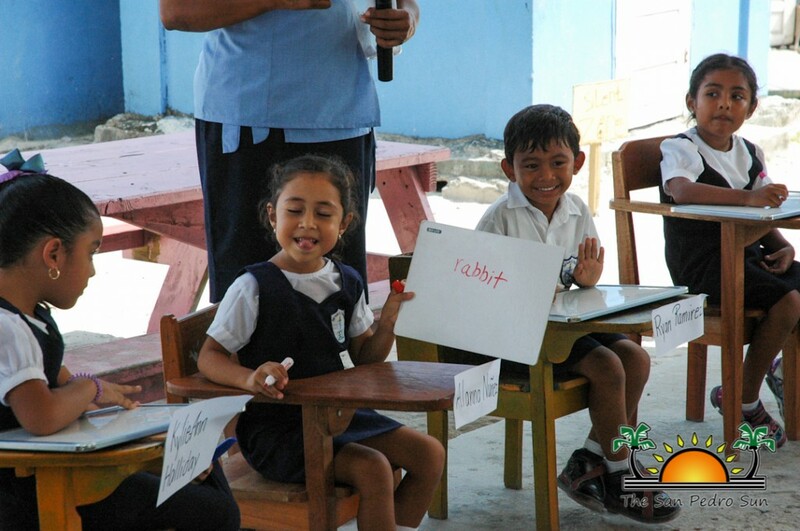 On Thursday, May 8th, teachers organized a spelling bee competition for the infant divisions. 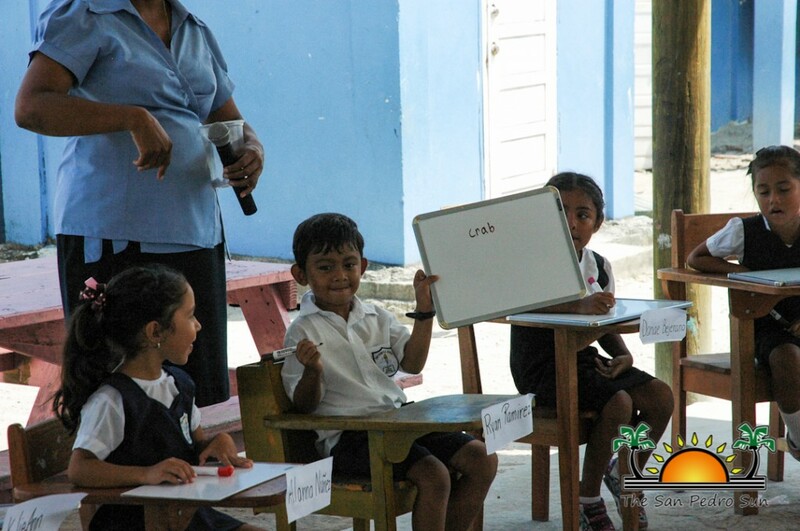 The young spellers were given words that they spelled out using a white board. 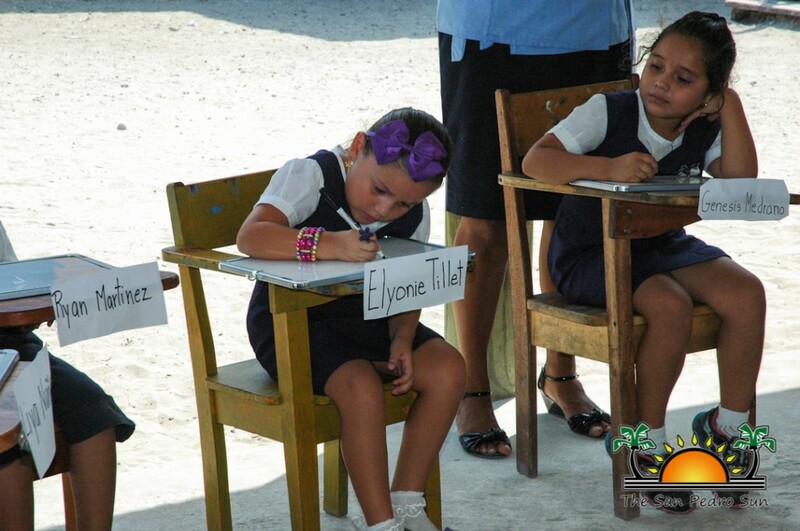 According to Vice Principal, Patricia Lopez the spelling bee was a unique opportunity for the infant students to show their mental capacity. 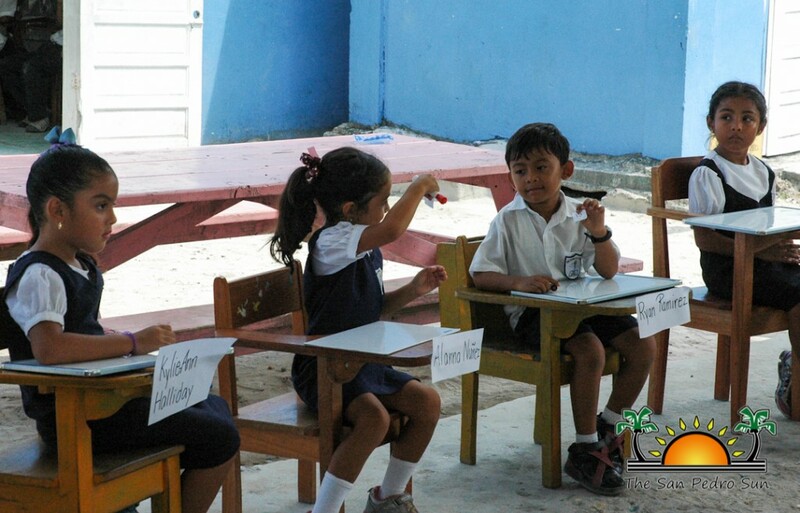 “This spelling bee for the infant division was the first of its kind. 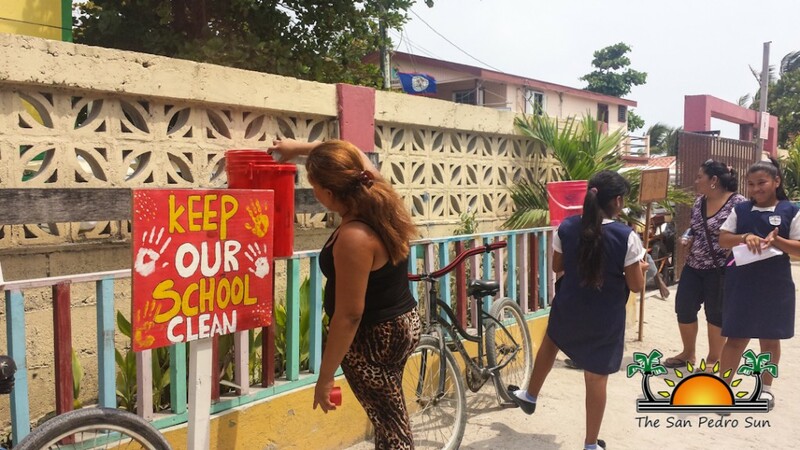 It wasn’t a competition, but rather of a fun activity for the younger children to show off their educational skills to the older students,” said Lopez. 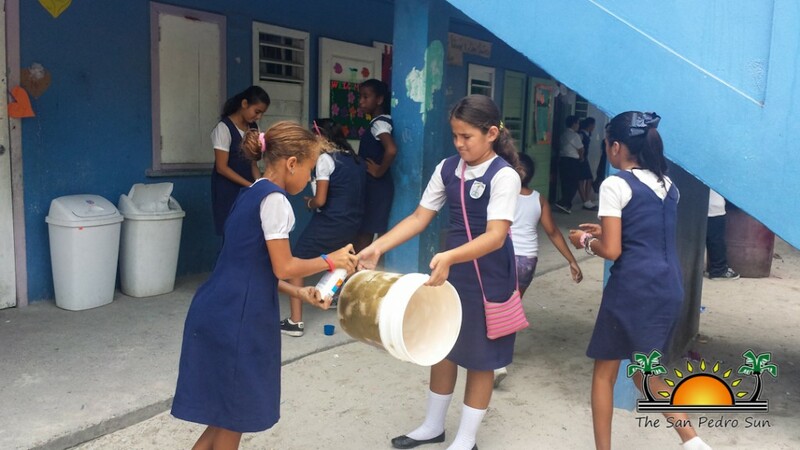 On Friday, May 9th the middle division students along with their parents participated in school beautification projects, including the decoration of trash bins and making signs for the school. 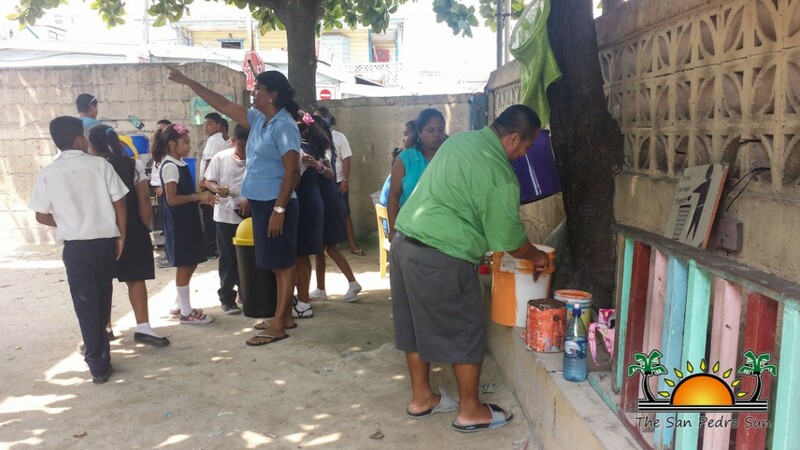 The students also had their mothers over for a Mother’s Day Special, where the students honored their moms. 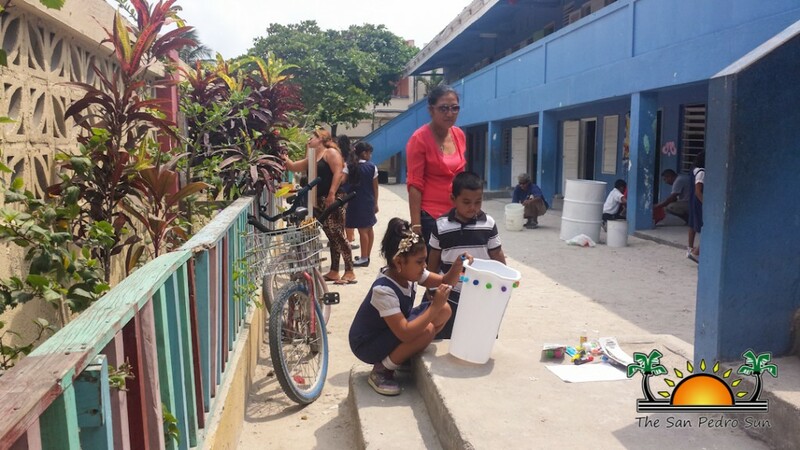 Other activities included story telling by parents, health speeches, show and tell, and garbage collection.